“On October 3rd, he asked me what day it was.” It’s the most iconic line of the classic movie Mean Girls (though “you go, Glen Coco” comes close), and it’s inspired countless memes, GIFs and tributes. Fans have been celebrating Cady Heron’s flustered Aaron Samuels interactions for more than a decade. But it was never official—until now. Thanks to Mean Girls on Broadway—Broadway’s “groolest” new hit show—October 3rd is now officially Mean Girls Day. So put on your fugliest skirt, grab your burn book, and let’s make fetch happen! When is Mean Girls Day 2019? Mean Girls Day is always celebrated on October 3rd, commemorating the line in Mean Girls when Aaron Samuels asks Cady Heron what day it was: "It's October 3rd." In 2018 the holiday also falls on a Wednesday (a phenomenon that won't happen again for another 11 years), the day of the week reserved for wearing pink as decreed by The Plastics. Answering high demand from fans for an official holiday, National Today and Mean Girls name October 3rd “Mean Girls Day” — sealing its spot on the cultural calendar forever. The Original Broadway Cast Recording is available for streaming on Spotify, Apple Music, YouTube and more. The musical opens on Broadway at the August Wilson Theatre. It’s announced that the hit movie will be adapted as a musical, produced by SNL’s Lorne Michaels. On October 3rd, fetch is happening. From Mean Girls-themed fitness classes to free Postmates delivery (code: WEARPINK), secure your spot at one of the 75+ events and deals held around the world. If you can’t make it to any of the participating venues, join other super fans for livestream trivia—can you remember which character makes out with a hot dog? Whip up some Mean Girls-inspired cocktails (or mocktails) like the Cool Momosa—it’s not a regular mimosa, it’s a cool mimosa with watermelon, lime juice, and Prosecco. Then, play the ultimate Mean Girls drinking game. Suggested rules include: take a drink every time someone says “fetch,” take two drinks every time slow motion is used, and take a shot when Regina gets hit by a bus. You can’t sit with them, but you can sit in the audience! 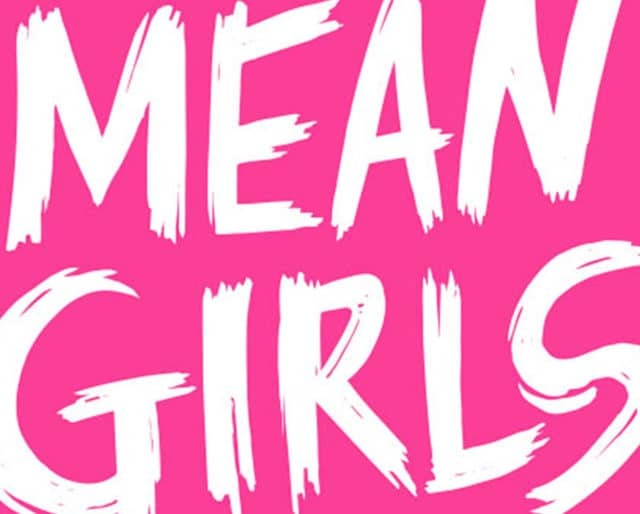 The best part is, you can catch Mean Girls on Broadway long after October 3rd is over—tickets are on sale until July 2019! Every year on October 3rd, fans around the world take to social media to commemorate a movie that so many audiences have found relatable. Now, that love for Mean Girls gets an official holiday you can celebrate year after year—recognition that will last way longer than any Burn Book. The inaugural Mean Girls Day falls on a Wednesday, and everybody knows that on Wednesdays, we wear pink. For people who can quote the entire movie by heart (let’s be honest, that’s most of us) it’s the perfect storm. It’s no wonder the movie has carved a permanent place in our collective cultural consciousness: Mean Girls spreads a timeless message about being true to yourself in spite of social pressure. We all need to be reminded of that every once in a while — it’s a theme definitely worth celebrating.